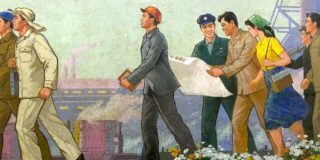 This is the first part of a weekly series written by a former development worker in North Korea. When I turned 31, and my career as a performer looked like it would finally take off, I decided to abandon the stage and went to work as an aid worker in the DPRK. The news of my departure was welcomed by various kinds of reactions, none of them enthusiastic. Nevertheless, on June 29 2012, I took off. 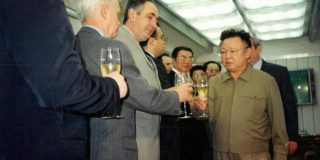 Kim Jong Il had unexpectedly died six months before, and his third son, the 29-year-old Kim Jong Un, had succeeded without having time to rehearse the script. 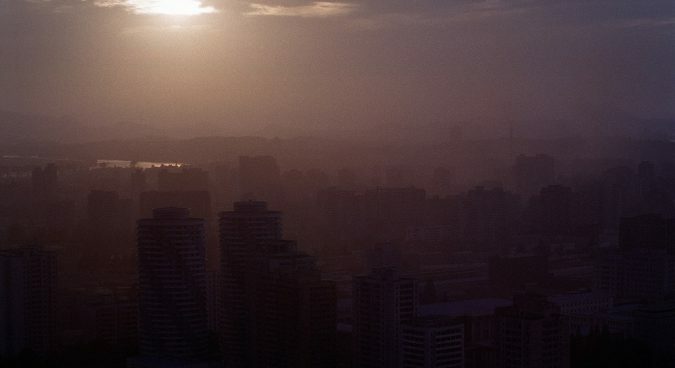 Everything in the country had been blocked for one year to allow the monumental constructions and renovations that had been initiated for the celebration of the 100 years of Juche: universities were shut down and a massive displacement of people was underway. Nobody really knew what was going to happen to North Korea. I had managed to get a nine-month contract to work in development, paid in cash. The first half of my salary was resting, in 100 Euro bills, in a pouch between my trousers and underwear. I had no idea what was life like over there. 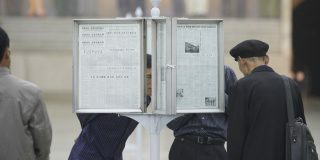 In the memories of my years as a student, the DPRK was the blurry memory of the Cold War, a gray kite on the map, evoked by sporadic news on the TV, mostly linked to dictatorship, famine, fear, lack of freedom, and nuclear weapons. 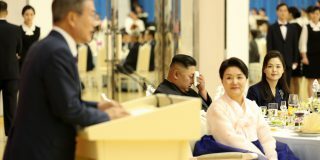 I had vague memories related to a leader, Kim Jong Il, so fascinated by cinema that he kidnapped a South Korean film director and his actress wife to keep as hostages. I had then watched his funeral on TV, witnessed the tears of the people, the plastic shoes, and the massive streets of Pyongyang. The picture I had gathered seemed a bit too similar to an American movie shot in the seventies. I was ready to go and see it with my own eyes. I land in the middle of the raining season and the first thing I think is that the place looked terribly normal. From the window of the airplane I see peasants working in the rice paddies and houses with blue roofs. The airport more like a hangar: on the one side are arrivals, on the other departures. All divided by a simple metal rack. There is only one flight a day, and none on Wednesday and Sunday. The only destination, I discover immediately, is Beijing. 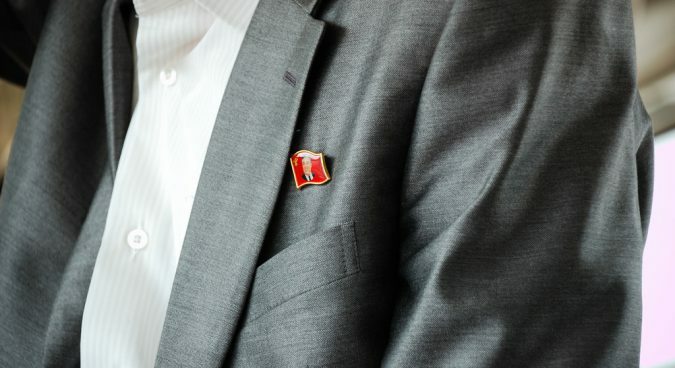 There are few foreigners around me but I do not pay attention to them: I don’t know any of them, and I am too busy staring at the pin with the face of the Kims, placed at the height of the heart on the jacket of every North Korean. I have sublet a flat in the diplomatic village, from a German businessman with some unspecified interest in the country. He comes in only once a year to take care about his joint venture, he says. I don’t want to know more. The flat resembles terrible pictures of Berlin in the 70s. I decide to go to the Pyongyang Shop, one of the very few places where foreigners are allowed to purchase goods. The metal shelves are full of cans, with writing in Cyrillic and démodé images of healthy blond boys and sausages of every size and color. Everything, categorically, is expired. In the fridge, there is yogurt in glass bottles, like in cartoons. The vegetable section consists of potatoes, cucumbers, onions, radishes, and carrots imported from China: thank heaven we are in the good season. Then there are refrigerated shelves, where all possible varieties of kimchi are proudly sitting. I am immediately assigned “my own personal Korean”: an official picked by the Ministry of Foreign Affairs, whose main task is basically to check that the expatriate they are assigned doesn’t break the rules. He kindly explains that every time I need to leave the country, I will have to give him two weeks’ notice to get an exit permit. He will be in charge of supporting me for the purchase of a ticket. He will be my access point for any service I might need during my stay, and from today until the day of my departure, our lives will be intertwined. His prestige depends on my obedience. I am afraid he hasn’t been too lucky.